Juniper Networks is expanding its partnership with VMware and now plans to include VMware NSX L2 Gateway integration and VXLAN routing capabilities across it access, aggregation, core and edge equipment. Juniper Networks' VXLAN routing and gateway capabilities enable both intra- and inter-data center solutions and accelerate the transition to software-defined networking (SDN). Specifically, Juniper is working closely with VMware to enable NSX L2 Gateway Services on its EX Series and QFX Series core, aggregation and access switching platforms, and MX Series edge routers. 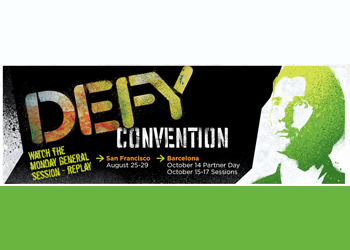 VMware NSX L2 Gateway Services are expected to be generally available in mid-2014. Juniper said hardware-accelerated VXLAN routing on its MX Series and EX9200 Series Switches will support multi-tenancy or business continuity/disaster recovery applications by routing traffic between virtual networks either within a single -- or across multiple -- data centers. Juniper is also working with VMware to extend development of its virtual security product portfolio to ensure future integration with VMware NSX and new security and networking application programming interfaces (APIs). 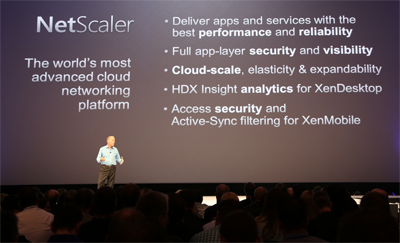 Citrix's NetScaler Control Center will gain support for VMware's new NSX network virtualization technology. This will provides automated deployment and configuration of NetScaler functionality within networks that will use the new VMware NSX network virtualization platform and other VMware virtualization technologies. Release dates have not yet been specified. Citrix said its goal is to enable cloud administrators to programmatically insert NetScaler services into software-defined data centers built on VMware virtualization technologies. 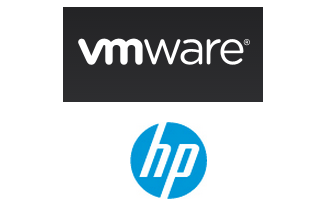 VMware and HP have agreed to collaborate on automated, virtual data center network technology. The companies plan to federate the HP Virtual Application Networks SDN Controller with the VMware NSX network virtualization platform. This will provide a centralized view, unified automation, visibility and control of the complete data center network, improving agility, monitoring and troubleshooting. The companies said their goal is to eliminate manual configuration of both the physical and virtual data center networks through interoperable automated orchestration of policies. The HP Virtual Application Networks SDN Controller also will include support for VMware Open vSwitch Database (OVSDB) management protocol. 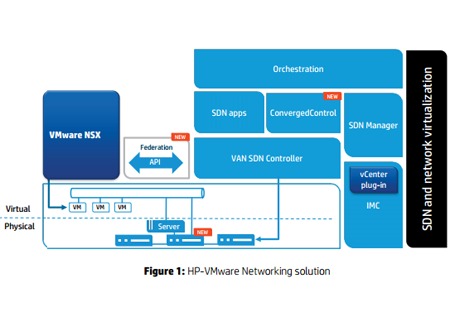 This enables HP FlexFabric switches to participate in the automated provisioning of the virtual network, which will be delivered by VMware NSX network virtualization platform. The companies plan to bring their complete solution to market in the second half of 2014. 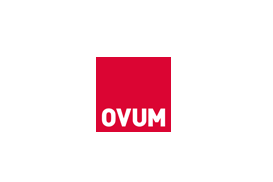 After a slow start to the year and five preceding quarters of lackluster sales, 2Q13 global optical networking (ON) revenue grew decidedly, according to global analyst firm Ovum. Results of US$4.08 billion for 2Q13 were 29 percent higher than they were in 1Q13 and 7 percent higher than the year-ago quarter. Most significantly, annualized spending grew to US$14.9 billion. ZTE had its strongest quarter ever, solidifying its position behind Huawei as the second-ranked ON vendor. Annualized spending in Asia-Pacific, at over US$6bn, hit an all-time high. Demand in North America was also up significantly, benefitting Alcatel-Lucent, Cisco, Ciena, and Fujitsu. Growth in 100G remains a particular bright spot as annualized revenues exceeded US$1.6bn for the first time ever. Ovum is forecasting modest two percent growth this year to US$14.9bn. Annualized revenues for CPO gear surpassed US$6bn for in the quarter (42 percent of total ON spending) and 100G port shipments in 2Q13 grew 61 percent, surpassing US$1.6bn for the 4-quarter period. ROADM and OTN switching were also up strongly from the year-ago quarter. “We’ve been hearing operators say ‘no more SDH/SONET spending’ for years. This is misleading, because what they really mean is no more spending for platforms specific to just that technology. They are eager to deploy CPO products that provide Ethernet and SDH/SONET on a converged platform,” said Kline. 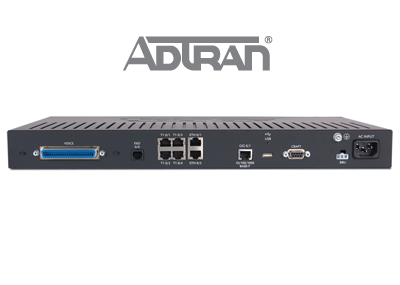 ADTRAN released its Total Access 900e Gen 3 series of Ethernet and Multi-T1 IP Business Gateways, which are purpose-built for carrier SIP/MGCP VoIP networks. Enhanced flexibility in hardware configuration, including optional Foreign Exchange Office (FXO) interfaces. The point-to-point Microwave Transmission equipment market grew 13 percent in the second quarter 2013, according to a newly published report by Dell’Oro Group. 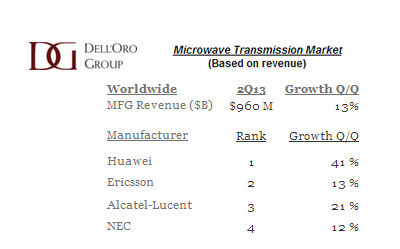 Dell'Oro finds that four vendors comprised more than two thirds of the microwave equipment market at nearly 70 percent. Huawei managed to capture the most market share in the second quarter by growing its revenue 41 percent sequentially; the highest growth rate among the top four vendors. “The microwave market turned in its highest growth rate since the second quarter 2012 but nevertheless fell short of historical revenue levels as use of microwave systems for mobile backhaul remained low,” said Jimmy Yu, Vice President of Microwave Transmission research at Dell’Oro Group. “We do, however, anticipate that this sub-billion dollar market trend will reverse during the remainder of the year as mobile operators drive their LTE network expansion into additional geographic regions where using microwave systems will be preferred over laying additional fiber,” Yu added. 24/7 Mid-Atlantic Network, a new carrier backed by a Baltimore based investment group, is preparing to launch high-speed transport and Ethernet services between Baltimore, Washington D.C. and Ashburn, Virginia. The network is based on the Ciena 6500 Packet-Optical Platform. 24/7 Mid-Atlantic plans to offer 24-hour turn-up guarantee on 10G services. Along with its long-haul assets, 24/7 has deep metro assets in Baltimore and Washington, D.C., with thousands of near-net buildings and extensive reach throughout the data center community in Ashburn, Virginia. "We are thrilled to enter into the lit services market. Coupled with our Colocation and Dark Fiber Services this is the next logical step to offer additional value to our customers," said Sean Baillie, Chief Revenue Officer at 24/7. "Across the data center, wireless, enterprise, cable, and government sectors we see high-capacity bandwidth needs continue to grow. Our customers have specific requirements: flexible service options, fast quote turnaround, competitive pricing, and rapid installations. The Ciena 6500 Platform enables us to meet these demands now and into the future. Our competition will have some work to do to keep up with us in how nimbly we operate." The network will be operational in December 2013. Procera Networks confirmed the receipt of an initial multi-million dollar order from a Tier 1, top 5 Latin American mobile network operator (MNO). Initial revenue is expected to be recognized in the second half of 2013. The operator will use Procera's PacketLogic Intelligent Policy Enforcement (IPE) to providefine-grained, subscriber-aware analytics and advanced policy-based services on their LTE network. Procera's IPE system is 3GPP-compliant and equipped with standard interfaces, allowing for scalability to support tens of millions of subscribers in 3GPP MNO networks. "The Latin American mobile market is a high growth region for policy enforcement solutions," said Paul Gracie, senior vice president of global sales and services at Procera. "The mobile operators are looking to gain better insights into the changing nature of their subscriber's mobile consumption and Procera delivers the most scalable solution for analytics and enforcement, enabling MNOs to optimize Capex while offering sticky new services that decrease churn and increase revenue generation." 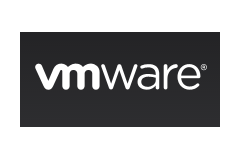 VMware announced the appointment of Tony Scott to the role of senior vice president and chief information officer (CIO). He will be responsible for critical technology systems supporting the company’s worldwide business operations. Scott previosuly served as corporate vice president and chief information officer of Microsoft, where he was responsible for security, infrastructure, messaging and business applications for all of Microsoft, including support of the product groups, the corporate business groups, and the global sales and marketing organization. Before joining Microsoft, Scott served as senior vice president and chief information officer of The Walt Disney Co., and chief technology officer at General Motors Corp.
Huawei reports that Scartel, a Russian mobile operator, has successfully implemented VoLTE (voice over LTE) with its SRVCC (Single Radio Voice Call Continuity) solution. Following implementation of the solution, Scartel is now technologically capable of supporting voice calls on its LTE network. SRVCC enables LTE voice call handover in 2G/3G networks. Huawei provides an end-to-end network solution for Scartel that covers the radio access network, Circuit Switch (CS) core network, IP Multimedia Subsystem (IMS), Evolved Packet Core (EPC), and Huawei’s Ascend P1 smartphone. Earlier this month, MegaFon announced plans to acquire Scartel for approximately US$1.8 billion. Vodafone Hutchison Australia (VHA), which serves more than 6 million subscribers, has implemented Oracle Communications Services Gatekeeper 5.0 to enhance network and application programming capabilities and grow customer satisfaction and brand loyalty. VHA is in the middle of a multi-year network upgrade, working to improve its NaaS infrastructure to help increase network reliability, reduce customer churn and create new revenue streams. The company is focused on improving key performance metrics – including subscriber growth and customer satisfaction – to help grow market segment share. Oracle Communications Services Gatekeeper enables VHA to reduce operational costs through a virtualized deployment of the new platform and by integrating the service exposure capabilities with VHA’s existing business support system (BSS) environment. “In today’s highly competitive Australian telecommunications market, innovation and a differentiated customer experience are key to growing the subscriber base. We are pleased to help Vodafone Hutchison Australia upgrade to Oracle Communications Services Gatekeeper 5.0 to integrate the technology infrastructure of its new acquisitions, improve service offerings and solidify its position in the industry,” Bhaskar Gorti, senior vice president and general manager, Oracle Communications.